Takeuchi and Komatsu are related. According to their website, Komatsu was born in 1917 when the Takeuchi Mining Industry established the Komatsu Iron Works. Komatsu was officially established in 1921 when it separated from Takeuchi. From there, Komatsu began to focus on agricultural and mining equipment. Their first agricultural tractor was manufactured in 1931, and their first dozer just 16 years later in 1947. Komatsu began importing to the US in the 1960s, and one of the first model imported was the D125A bulldozer in 1967. 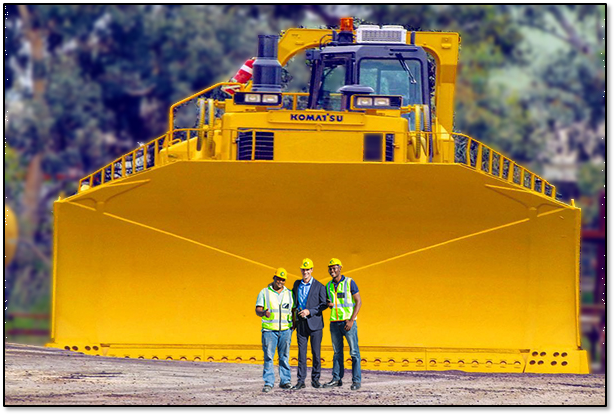 The title for the world's largest production bulldozer goes to the Komatsu D575A. There are two popular models of this monster: the D575A-3, which weighs almost 290,000 pounds and serves bulldozer/ripper, and the D575A-SD, which weighs in at almost 330,000 pounds and is a dedicated bulldozer referred to as the Super Dozer. This mega-dozer has 1,150 horsepower and is so large is had to be disassembled to be moved. Komatsu is an incredibly diverse manufacturer. Komatsu's line of products includes dozers, excavators and shovels, wheel loaders, motor graders, articulated dump trucks, rigid dump trucks, tunnel boring machines, forklifts, and rough terrain cranes. In addition, Komatsu has a large line of forestry equipment including harvesters (and tracked harvesters), tracked feller bunchers, and specialized forestry excavators. 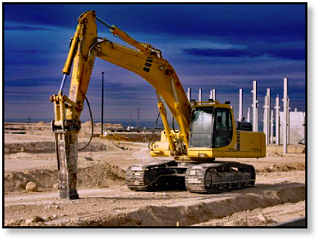 Komatsu also makes compact equipment: compact excavators, backhoe loaders, and skid steer loaders. None of that surprises you, but this might: Komatsu also manufactures large presses (such as those used to manufacture automobile doors), sheet metal forming and cutting machinery, excimer lasers for lithography, and machine tools for making everything from auto engines to liquid crystal panels. The name Komatsu has an ironic meaning. Komatsu was named after a city in the Ishikawa prefecture of Japan. The word ko matsu in Japanese means "little pine tree." Considering that Komatsu is the 2nd largest equipment manufacturer in the world and makes the world's biggest bulldozer, it seems that there is nothing small about Komatsu Ltd. As to the use of the word tree, Komatsu has successfully weathered many storms (since its birth in 1917) much like a strong tree, including Japan's defeat in World War II and a frightening decline in the 1980s. Whether you are in construction, mining, demolition, forestry, or even agriculture, chances are that you have seen Komatsu machines at work. These powerful machines have a solid reputation, and when something goes wrong replacement Komatsu parts are not hard to come by. Komatsu remains one of the most popular off-road equipment brands on the market for a very good reason. Texas Final Drive provides best-in-class reman final drive motors for the most popular OEM brands of heavy machinery. Check out our Komatsu dozer hydraulic final drive motors now.